2009 has been the most exciting year since 2005, loads of great stuff coming out and the clubs have been FIRING, people have really gone for it. Every time I’ve played out the vibe has been fantastic, less so in London obviously but everywhere else has been cracking. People have wanted it. Bad. I’ve loved the way that funky has turned so much around. Both in itself – Cooly G’s Love Dub is my tune of the year, alongside her Dis Boy – but also in its ripples and echoes. Dubstep heads took the hint and created a spectrum of new sounds from Ramadanman / Pearson Sound, Brackles, Untold and many more. The best of the old garage heads saw funky for what it was – an attempt to deal with the unfinished business of UK Garage, and Zed Bias and MJ Cole made some fantastic tracks as a result. Mind you, most of them aren’t out yet. Musically it’s been a big year for me. There’s nothing like seeing a big room go off to your tunes and I’ve seen my funky and garage gear light up crowds – it’s an enormous privilege, I’ll treasure those memories forever. Kode in particular has been caning Move Down Low for months. Loads of DJs have been playing my stuff… Skream, Blackdown, Atki2, Tim Dub Boy, MJ Cole, Jamie Vex’d, Paul Hotflush, Mary Anne Hobbs… I’ve put out three singles (Loser, Soundclash, my funky refix of the grime classic Ice Rink ) that have done well. There are some more to come in 2010. I’ve done a DJ mix for Radio 1 and had loads of play on the pirates. I’ve done guest mixes for loads of websites. I’ve just put another album out, my remix / DJ mix / dub album of the entirety of Blackdown and Dusk’s Margins Music. It’s been one hell of a ride. And I moved into the house I built. 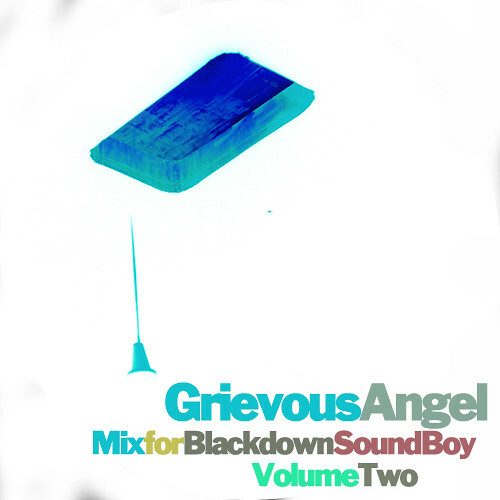 The second of my special promo mixes is now up at Blackdown’s Blog. These two volumes are two of the best mixes I’ve ever done. Both done live in one go and then split up and edited a tiny bit. The new one is great. Jill Scott and Erykah over heavy dubstep rollers is a FABULOUS combination. Loads in there. There was even more! Like Tom said, me and Martin can both talk for England so he had a job cutting it down. Think I need to get some new pix done.